Madhavan aka Maddy appeared as a fresh whiff of air especially to the urban women audience when he made his debut in Mani Ratnam’s Alai Payuthey way back in 2000. He was very different from the heroes that the audience was subjected to till then, with a clean shaven face accompanied by innocence and impishness in equal proportions. He also got a moniker ‘chocolate boy’ and went on to do different kinds of roles in films like Minnalae, Aayudha Ezhuthu, Thambi to name some. 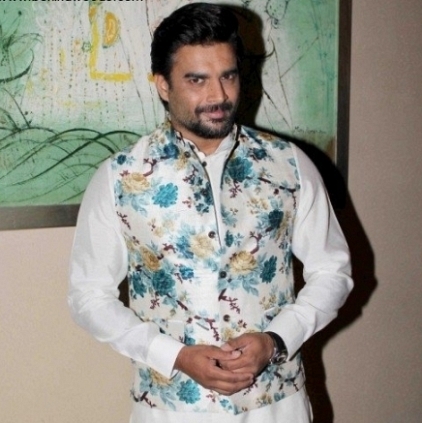 Madhavan is a very popular name in the North of the Vindhyas too, where he is known for roles in films like 3 Idiots, Tanu Weds Manu etc. His recent film Tanu Weds Manu Returns is also being appreciated and is garnering loads of revenue and good reviews too. Today, the 1st of June, Maddy celebrates his 45th birthday continuing to charm the audience with his looks and performance. Behindwoods wishes the evergreen young hero a very happy birthday and many more to come! What's common to Chiyaan Vikram and Superstar Rajini's next films? Puli's First Look To Release On Vijay's Birthday? Imman's Birthday Gift To Prabhu Solomon By Starting Work For The Dhanush Film! Aamir Khan Celebrates His Birthday Today! People looking for online information on Actor Madhavan, Birthday, Maddy birthday, Madhavan birthday, Tanu Weds Manu Returns will find this news story useful.